Recycling should be the “last resort” if we are to move to a circular economy according to an influential lobby group. The sustainable business alliance, the Aldersgate Group, said high and volatile commodity prices make a shift to new circular business models a necessity. Speaking at the launch of the report at the Base London sustainable business conference, Steve Wallace Aldersgate group director, said the circular economy is not “just getting better at recycling; that just delays the inevitable”. Design: 80% of a product’s environment al impact is locked in at the design stage. New business models: A new contract between business and customers based on access and product performance rather than ownership. Produce collection and reuse: Infrastructure to support collection of used products – reverse cycles. System changes: Incentives to drive circular economy approaches. It asks whether there is a need for the national waste strategy to be replaced with a national resource strategy based on circular economy principles, and a more strategic approach to “close loops” at a societal level rather than within individual companies. 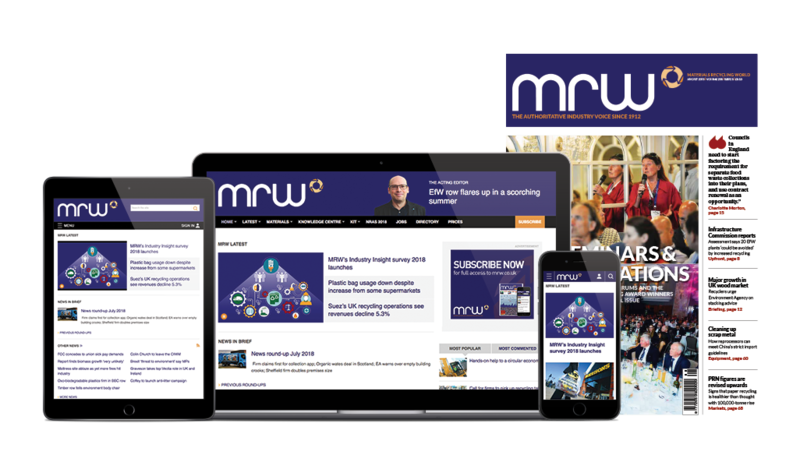 In a feature on the circular economy for the next issue of MRW Paul Levett of LRS Consultancy writes: “To generate the circular economy, we need to combat resource wastage. “New collection systems will need to be designed to preserve the quality of materials, whilst being easy-to-use and cost-effective. We also need innovative companies to develop new technology that will optimise the quantity and quality of materials that can be extracted from waste streams.